Anastasia E. Amella-Turner, 23, of West Haverstraw, was arrested for second-degree aggravated unlicensed operation of a motor vehicle on March 1. She already had an active bench warrant against her for the charges and turned herself in to the Stony Point Police Department. After processing, she was issued a return date of April 12, 2018 at 1:30. Her trial will be held at the Stony Point Justice Court. Brian T. Moore, 33, of Haverstraw, was arrested for criminally possessing a hypodermic instrument on March 1. Moore turned himself in after a bench warrant was issued. After he was processed by the Stony Point Police Department, he was released when his $250 bail was paid. Moore is scheduled to return for a court hearing on March 6, 2018. Anthony Trombetta (above), 31, of Stony Point, was arrested for a DWI this past Sunday a little after 3 a.m. The defendant was stopped on South Liberty Drive in Stony Point for speeding. When the officers pulled him over, he seemed to be in a state of intoxication. After failing a standardized field sobriety test, the defendant was placed under arrest and processed at the Stony Point Police Department. 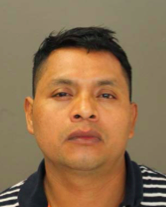 The defendant was released with the appropriate traffic tickets and is scheduled to appear at the Stony Point Justice Court on April 10, 2018 at 9 a.m.
Domingo Mendez-Huales (above), 39, of Airmont, was charged with predatory assault of a child on February 28, 2018 and has been sentenced to 20 years to life in prison. The defendant was also charged in November of last year with endangering the welfare of a child, a class “A” misdemeanor, bringing his conviction to a total of three counts. According to D.A. 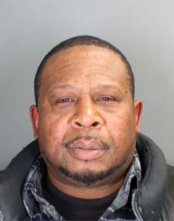 Zugibe, “The defendant was a friend of the family of the victim and used that friendship to take advantage of an innocent child for his own sexual gratification.” The District Attorney’s office also mentioned that the defendant has repeatedly sexually assaulted a 9-year-old girl in Airmont on numerous occasions between September 1, 2015 and May 14, 2017. DA Stephen Moore and Senior DA Kathleen Devlin prosecuted Mendez-Huales with testimony from the victim and her mother. Jerry B. Cox, Jr., 55, of Monsey, was charged with one count of third degree grand larceny, one count of third degree insurance fraud, two counts of first degree falsifying business records, two counts of offering a false instrument for filing, and two counts of fraudulent practices in workers’ compensation. The defendant was injured on Feb. 20, 2015 while working for Countywide Carting. He therefore applied and received workers’ compensation benefits from the New York State Insurance Fund (NYSIF). He claimed that between the date of his injury and July 2017, he had not participated in any work activity for any employer. 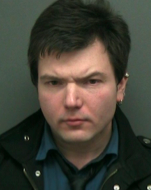 These claims were proven false when it was discovered that he had actually opened a meat market in Central Nyack in March 2017, as well as engaged in rubbish removal services in Middletown during the month of April in 2017. The NYSIF has estimated that $7,581 in compensation benefits was given to the defendant because of his fraudulence. Cox’s bail has been set at $5,000 and is scheduled to appear in court on March 14, 2018 where Senior Assistant to the DA Robert Trudell will prosecute him. Cox faces up to seven years in state prison.